Come get in the holiday spirit and try one or more of the…. Rogue Santa Private Reserve $6- 12oz. 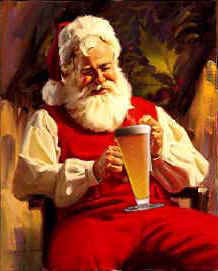 Anchor Steam Christmas Ale $6-12oz. Sly Fox Christmas Ale $14- 25oz. Evil Genius Naughty or Nice $6- 12oz. St. Bernardus Christmas Ale $18- 25oz. Please inquire with your server about availability!